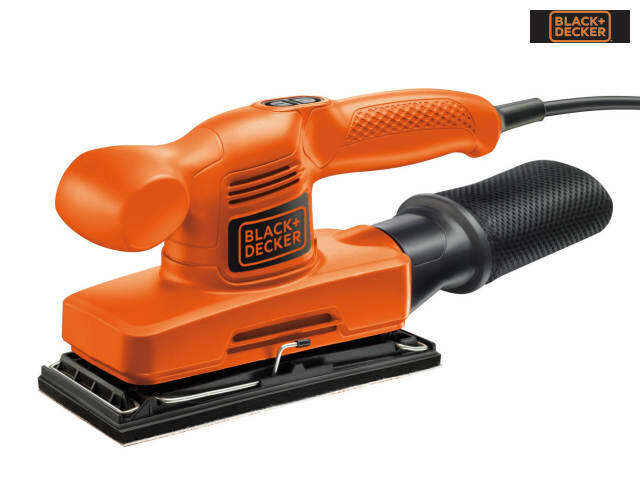 The Black & Decker KA310 1/3 Sheet Orbital Sander has a compact design, getting you closer to the work surface for greater control. 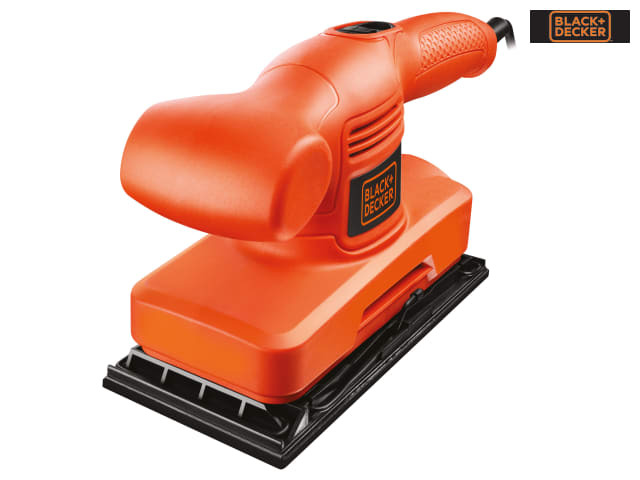 With a large orbit size and high speed for faster material removal. The front and rear handles provide comfort and control. 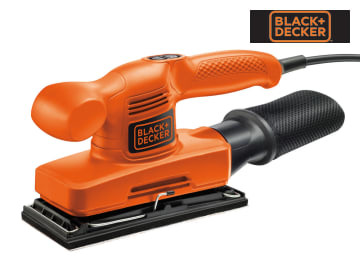 The front handle has been ergonomically designed for comfortable operation of the sander. 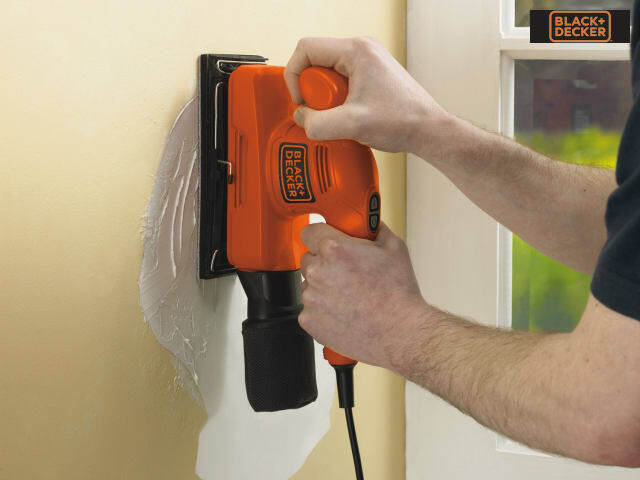 It's quick and easy to change paper with hook & loop or traditional clip attachment. Versatile, third sheet base sands flush to three sides. 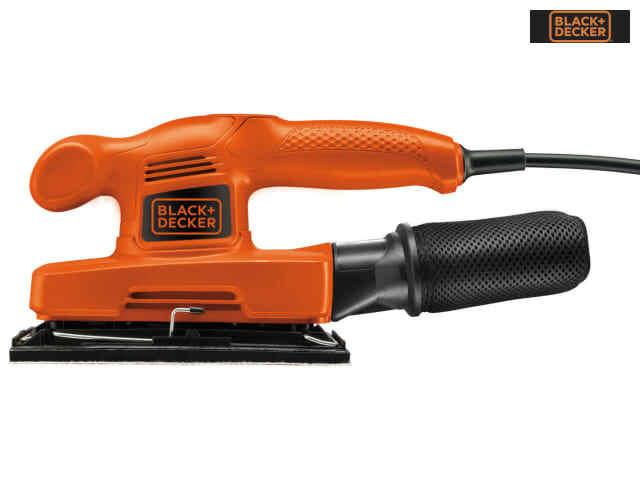 Ideal for using on vertical surfaces such as doors and walls, for light to medium sanding tasks. Fitted with a large dust bag to ensure less mess when sanding for a cleaner work area. Supplied with: 1 x 100G Sanding Sheet and 1 x Large Dust Bag.